Spirulina Is Hailed As The “most Ideal Food Of The 21st Century” By Food And Agricultural Organization Of The United Nations. It Is Known As The No. 1 Natural Food With The Highest Ratio Of Protein Up To 56%. Except For All Essential Amino Acids Need By Human Body, Spirulina Contains Important Nutrients Such As Unsaturated Fatty Acids (Including R-linolenic Acid), Phycocyanin, Iron, Zinc, Copper, Selenium, Polysaccharides, Chlorophyll, Vitamins, And Β-carotene. 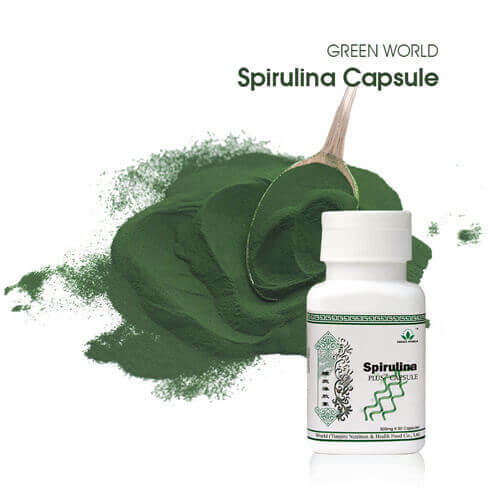 Green World Spirulina Plus Capsule Can Be Used To Regulate Immunity, Prevent Cardiovascular Diseases, Protect Gastrointestinal Tract, Prevent Diabetes, Battle Against Cancer, Relieve Fatigue And Reduce The Harmful Effects Of Electromagnetic Radiation. Made Out Of Spirulina Platensis And American Ginseng By Adopting Nanotechnology, Green World Spirulina Plus Capsule Is Featured With Small Molecule Clusters And High Absorbability. For Those Who Is At A Sub-health Status. 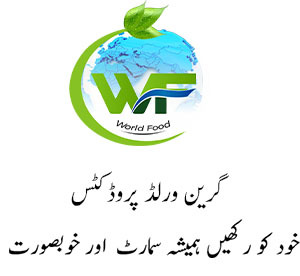 For Those With Gastrointestinal Disorders. For Those With Cancer, Especially After Radio Or Chemo-therapy. For Those Who Undertake Prolonged Or Intensive Exercise, Or In Weight Loss Program. 1-3 Capsules Each Time, 1-2 Times In A Day.